You can go through this article to get some tips on how you can save quite a few dollars every month. Couponing! Many of you must be aware of this term because there's no one who doesn't want to save a few dollars on his/her grocery shopping. 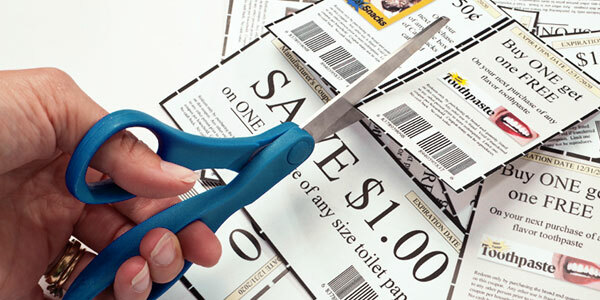 Reading this, a common question may come to your mind - How can you get hold of discount coupons? One of the best ways to do this is to subscribe to your favorite stores; by doing so, you can get discount coupons in your mailbox almost every week along with getting various notifications in your e-mail too. You can go through this article to get some tips on how you can save quite a few dollars every month. No matter how many good coupons you can get hold of, you need to understand what a good deal is. To do so, you need to compare the per unit price of a product to make sure that you're getting a really good deal. So, don't always get enticed to the price; always check how many you're getting in that price. By comparing unit prices, you can really choose the one that's offering you the best price. You don't have to always visit stores to use coupons; you can shop online too. There are some stores which offer a flat discount on every item you buy from the website. Some of these websites can also offer free shipping to you too. Do not always stick to your favorite store. Visit different stores to check out whether or not there are more discounts on the items you intend to purchase. You can subscribe to various newsletters of the stores and check out what discounts are being offered and on its basis you can choose the store that's offering the maximum discount on the product you need to buy. To save extra dollars on your grocery shopping, you need to get acquainted to various acronyms so that you know how to get discounts. For example, BOGO means Buy One Get One and ONYO means On Your Next Order. So, if you have knowledge of these acronyms, you can easily make up your mind which items to go for and how to maximize your savings. It won't be any use to you if you can't use your coupons at the time you need it. So, always organize your collection of coupons the way it'll be easier to find one when you need them. One of the best ways to organize them is by product category; it also helps you in comparing which store is offering you more discount. However, it is up to you how you want to organize. No matter how much you try to maximize your discounts, don't buy a lot of items which you don't need in near future, just for the sake of getting discounts; otherwise, you might fall into debt problems. So, always make a list of the items you require, check out the discounts and make up your mind which items you'll go for. It'll save you from spending dollars on items you won't require. Most importantly, always check out the expiry dates on the perishable goods and think twice whether or not you'd be able to consume the items before the expiry date. Then only, you'll be able to save money and secure your financial future.